Anand Asundi graduated from the Indian Institute of Technology, Bombay with a B.Tech (Civil Engg.) and a M.Tech (Aeronautical Engg.). Subsequently he received his Ph.D. from the State University of New York at Stony Brook. Following a research fellowship at Virginia Tech., he was with the University of Hong Kong from 1983 to 1996 as Professor in the Department of Mechanical Engineering. He is currently Professor and Director of the Centre for Optical and Laser Engineering in the School of Mechanical and Aerospace Engineering at the Nanyang Technological University in Singapore. His teaching area is in Optical Engineering with research interests in Computational Optical Metrology, Photomechanics, 3D imaging, measurement and display and Fiber Optics Sensors. He has numerous patents, has published extensively and presented invited seminars/talks at various institutions and at international conferences. 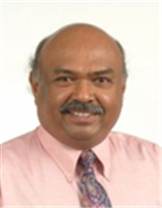 He is Editor of Optics and Lasers in Engineering and Fellow of SPIE, the International Society of Optical Engineers and the Institution of Engineers, Singapore. He is founding chair of the Optics and Photonics Society of Singapore, Asian Committee on Experimental Mechanics and the Asia Pacific Committee on Smart Materials and Nanotechnology. He has organized numerous conferences and served on the Membership, Scholarship/Awards and Presidential Asian Advisory committees of SPIE and its the Board of Directors. Prof. Asundi's primary research interests are in the field of photomechanics with specific applications in the fields of micro and nano mechanics, biomechanics, chemical sensing, non-destructive testing and smart structures.